A white blouse with cute khaki or camel trousers can never go wrong. You can team up other accessories with them such as a tan or beige bag and gold colored jewelry. To keep things cute you can go for such a trouser that has a bow knot belt. Skinny jeans and a t-shirt would look just fine on a brunch paired with some flats in a noticeable color and perhaps a neutral colored bag and layered bracelets. But let’s say if you have to attend a brunch after a business meeting, you can team up the skinny jeans with a blouse and a blazer and replace flats for heels. There is another combo that looks just so classy. And that is the pairing of a denim shirt with leather pants. It’s up to you what color of leather you prefer with the denim shirt. Usually black and brown are ideal choices. Because you can choose rest of the accessories in black with both the options. When in doubt go for a white dress. From preventing it to look bland you can choose a version that is a little embellished so that you can match the shoes, accessories and makeup with it. 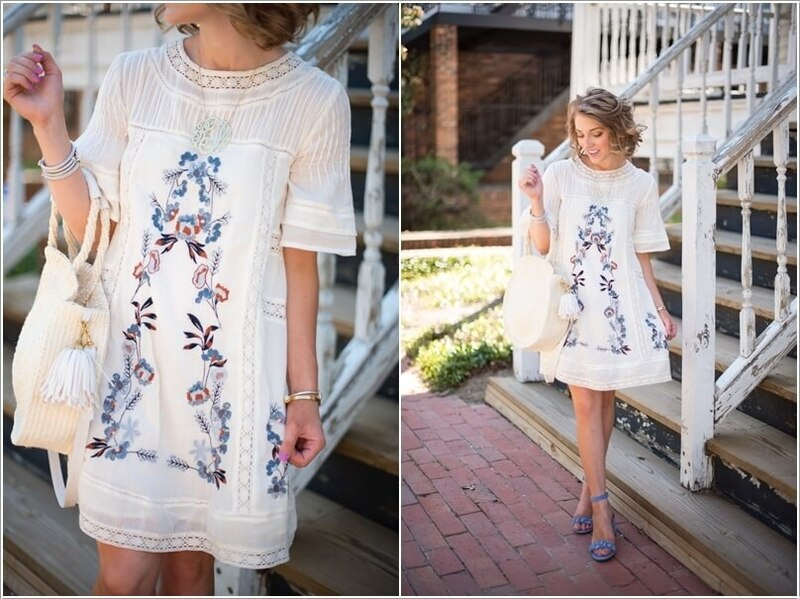 Want to look ethereal and cute? Then create an outfit around a lace top and a skirt in the color that best defines your personality. Then, go ahead and introduce more style with a cross body bag or a hat and some trendy jewelry. 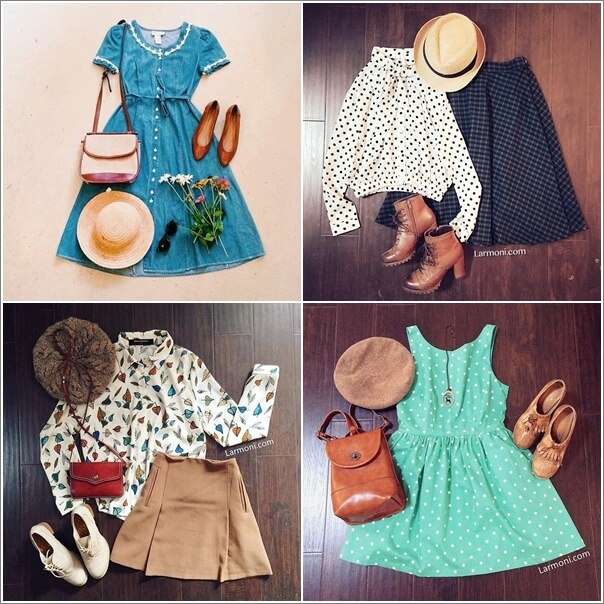 Want something girly? Then simply wear a floral dress along with a prominent colored jacket that complements your dress. Finish off the look with brown sandals and a clutch bag. Jumpsuits either printed or plain are so effortlessly stylish. A great thing about them is that they are a fashion statement on their own and just a scarf with a pair of earrings or glasses would be enough to make you a fashionista. 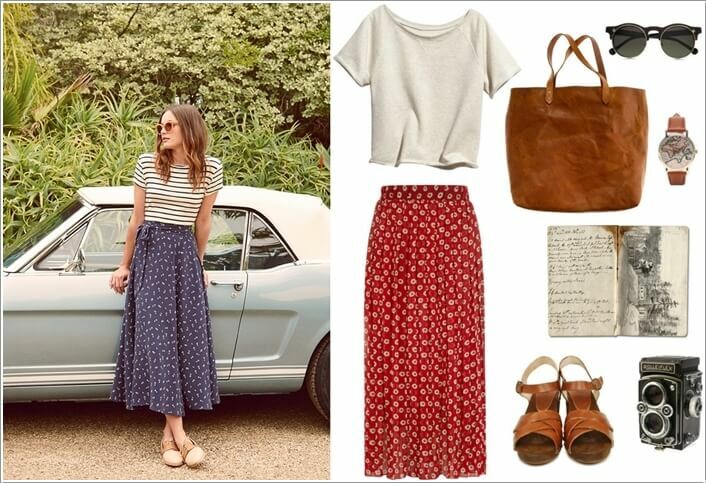 Maxi skirts are perfect to wear with any casual t-shirt. Simply wear flats with such an assemble and grab your glasses and bag on the go. Are you a girl who strongly believes in old is gold? Then hit the brunch with a retro or vintage style outfit. 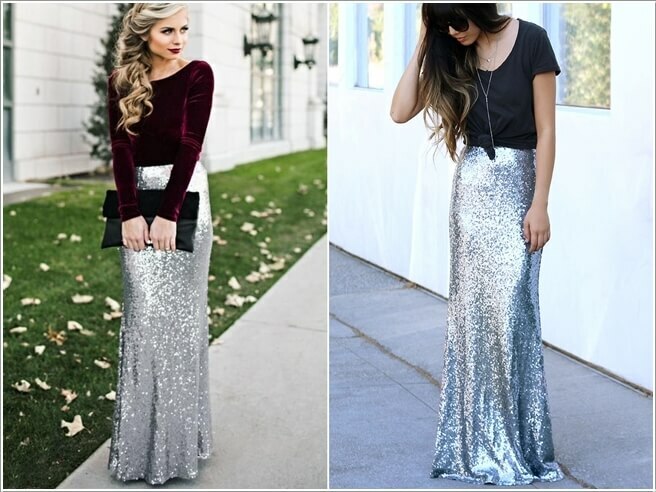 Let’s just admit it, some girls’ outfits are always incomplete without a little glitter and sparkle. So, we thought to feature at least one brunch outfit that is cute and glamorous at the same time.